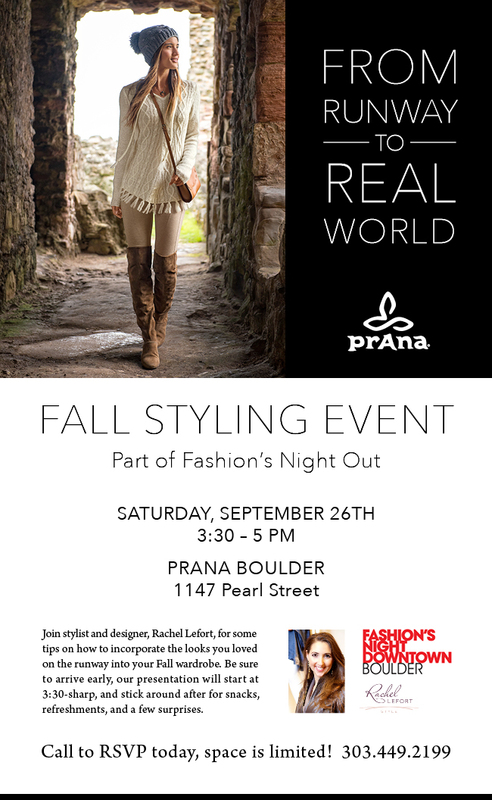 Fall Styling Event September 26! As you probably know, PrAna has great attire for activities like yoga & climbing, but did you know that they also have tons of cool lifestyle clothes for weekend? Join RL Style as we put looks together to make casual dressing effortless! This entry was posted in casual style, Fall Fashion, Fashion and tagged accessories, accessorize, Boulder, casual style, fall fashion, fashion, fashion events, Prana, style by RLStyle. Bookmark the permalink.